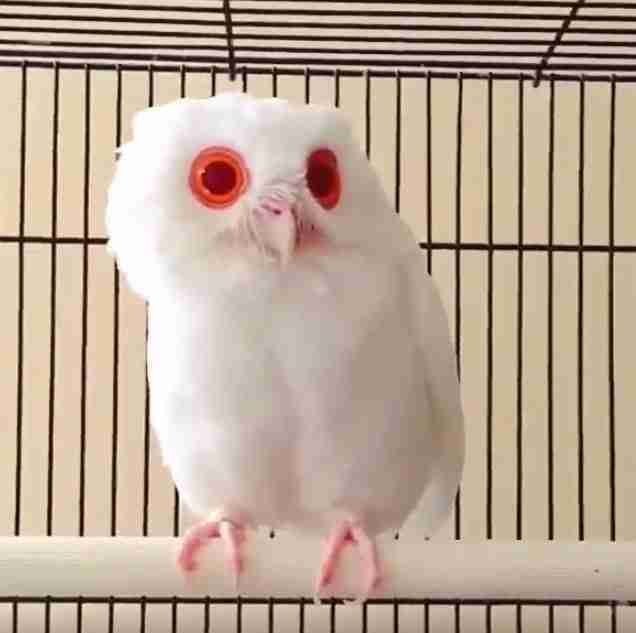 This owl knows what you did last summer. After all, what hasn't he seen with those X-ray eyes? Well, honestly, pretty much nothing special - the same things your average non-ghostly, non-glowing eyes see. 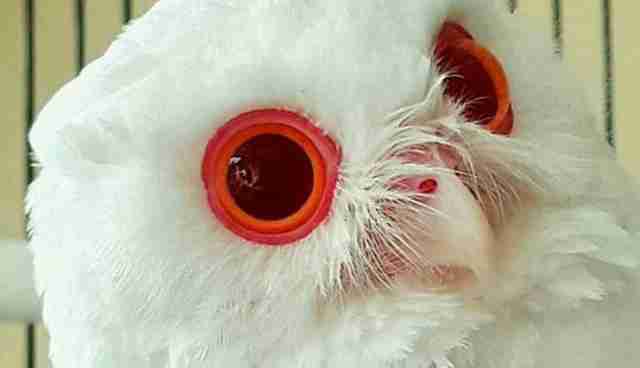 In fact, this owl isn't isn't so much a study in scarlet as a lesson in albinism - one of nature's most spectacular genetic doodles. Albinism, in both animals and people, happens when there's little to no melanin present at birth. Melanin is nature's crayon, a chemical that infuses skin, hair and eyes with color. Sometimes, it gives the eyes an unearthly red hue. But it's actually the blood vessels you see inside those orbs that are visible through the colorless iris. Although it's a rare condition - in humans, around one in 17,000 births results in some form of albinism - just about every mammal capable of producing pigmentation can be born an albino. Chances are, you've seen one. Like the albino moose, a haunting figure occasionally spotted in Canada. So should you ever find yourself under the strange gaze of an albino animal, don't count the moments until you're ushered into the next life. There's nothing supernatural about those eyes. Instead, count your blessings. Because albinism in nature is a uniquely beautiful thing to behold.